Putting on an event or just want something differant for the office wall. Here is our selection of reproduction British WW2 training posters. 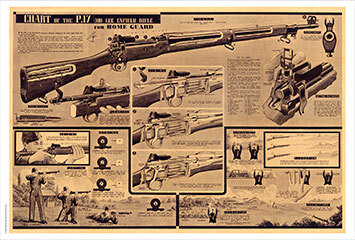 The P17 rifle was used by the Home Guard and this poster would have been used as training and referance for its use.